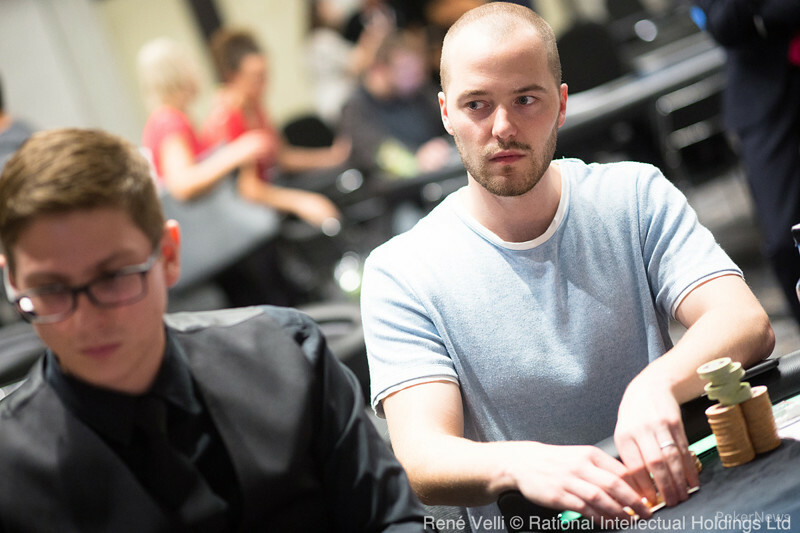 After nearly 12 hours of high-quality poker Andras Nemeth came through 95 entrants to take down the PokerStars European Tour Barcelona €25,000 Single-Day High Roller for €605,600 in an event that will be remembered for its final hand. Nemeth was one of a group of players at the final table who had to sit and wait patiently for their spots with the eventual third-place finisher Matthias Eibinger using his commanding chip lead to dictate the action. But when Eibinger finally lost the lead, the momentum changed as Nemeth, alongside Wai Leong Chan, progressed to a final duel that would not disappoint, as Nemeth came from behind to seal victory on the river against Chan's pocket aces. 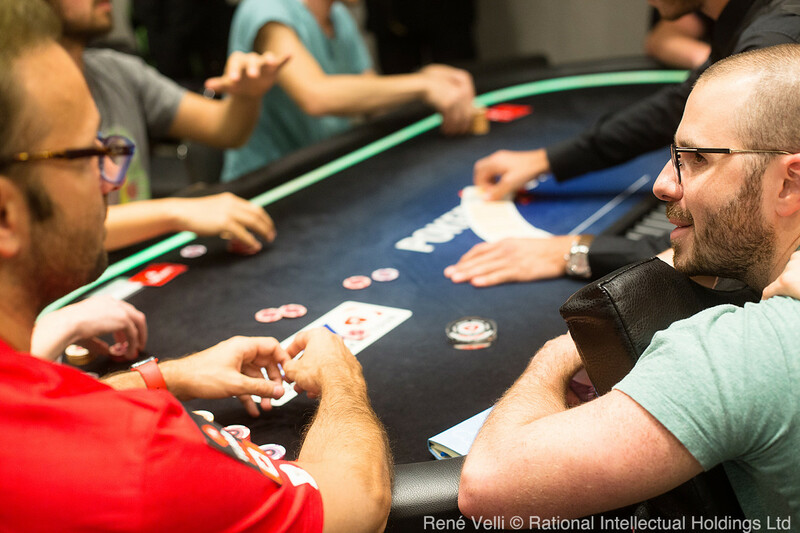 The High Roller events at the 2018 PokerStars EPT Barcelona have been hugely popular with the world's best players making their way to the Casino Barcelona over the past ten days, and today's event was no different. 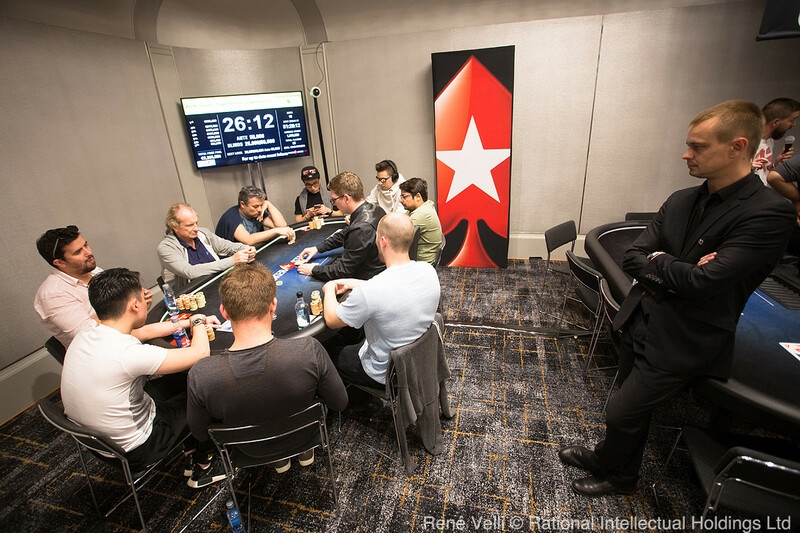 Players such as Michael Dyer, Stephen Chidwick, Bryn Kenney, Luc and Sam Greenwood, Nick Petrangelo, Patrik Antonius, Dan Shak, Timothy Adams, Alex Foxen, Ryan Riess, Mikita Badziakouski, and PokerStars Team Pro Daniel Negreanu all joined in on the day's action but were unable to make a run into the money spots. When the money bubble finally arrived for the remaining 14 players, with only 13 spots paid, the play became tense, and the bubble level had to be extended as the short stacks were determined to hang about. Salman Behbehani twice doubled, as did Michel Dattani, and would-be champion Nemeth won a vital flip against Pascal Lefrancois with ace-ten before a hand that burst the bubble spectacularly. 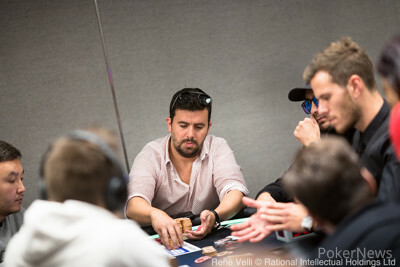 Juan Pardo Dominguez, who was sat comfortably in the middle pack of chip stacks, limped from the hijack for 30,000 and when the action was on chipleader Matthias Eibinger in the small blind, he put full pressure on Pardo Dominguez by raising enough to out the Spaniard all-in. But Pardo Dominguez had trapped Eibinger and snap-called with pocket aces. Eibinger held ace-eight of clubs and was all set to give up a significant portion of his stack when the flop fell deuce-deuce-six with one club. The turn king of clubs gave Eibinger more outs, and when the five of clubs hit the river, everyone was in shock as Eibinger had stolen the pot with the nut flush and condemned Pardo Dominguez to an exit on the bubble. The exits then came thick and fast with Seth Davies, Salman Behbehani, Pascal Lefrancois and Dan Smith all cashing before the final table of nine were set. 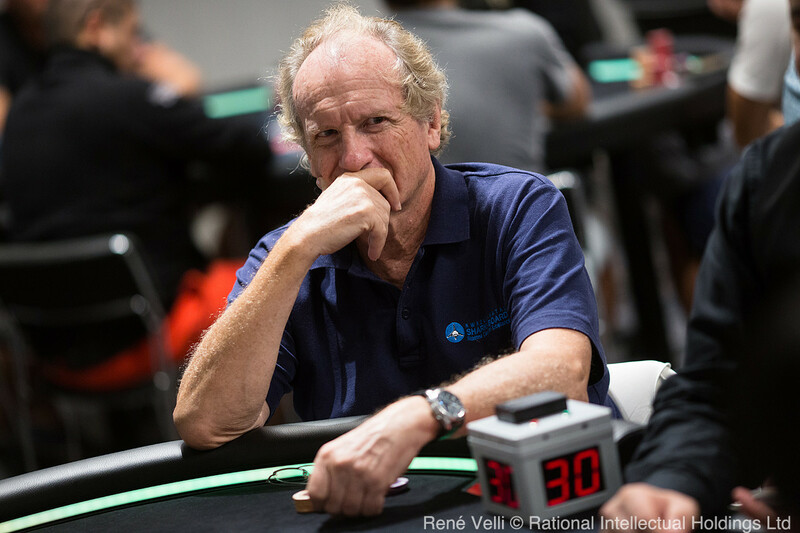 Sean Winter (9th place - €63,900), Vladimir Troyanovskiy (8th place - €84,400) and Michel Dattani (7th - €108,350) departed before Jean-Noel Thorel, who finished as runner-up in the €50,000 Single-Day High Roller just two days ago, saw his final table run come to a halt when his all in with top pair was called by Chan who held two pair and held to eliminate the Frenchman in 6th place for €136,860. 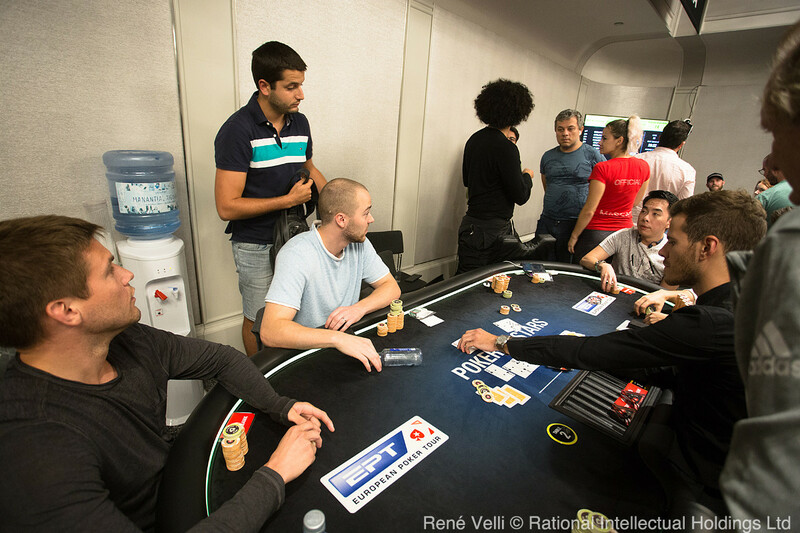 Chin Wei Lim (5th place - €175,600) and Byron Kaverman (4th place - €217,820) was next to exit before the final three was set. Matthias Eibinger had coasted along nicely with his post-money bubble chip lead but found chips hard to come by as the levels increased and the stacks became shallow. 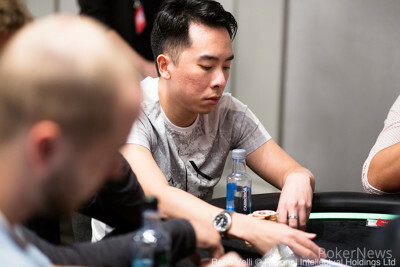 His run came to an end when he shoved jack-ten from the button and ran into Chan's ace-queen in the small blind and wasn't able to survive, which resulted in a second High Roller bronze medal for the Austrian in the space of a week after he took the same finishing position in the €100,000 Super High Roller event. And despite the heads-up battle turning out to be a short affair, it did not disappoint for the spectators. 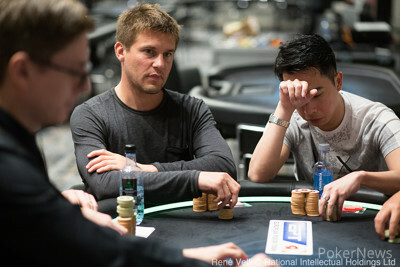 Nemeth and Chan traded pots over a series of hands with the chip stacks at a near even match when Nemeth limped on the button only to see Chan raise. Nemeth decided to put full pressure on Chan as he moved all in, but Chan responded with an instant call. Chan tabled pocket aces, and Nemeth flipped over ace-deuce and was in danger of being left with less than three big blinds. The rail gathered to see the four-five-four flop and Nemeth's friends sensed a potential comeback. The queen turn card put Chan further in the lead and on the verge of sealing the pot, but when the three of clubs rolled off on the river Nemeth had hit his wheel draw, and a stunned Chan could not believe it as Nemeth's rail exploded into celebration. Just seconds later it was confirmed that Nemeth had Chan covered and it was all over. Another day of poker at the Casino Barcelona has come to a finish, but PokerNews will be back to provide all the Main Event and High Roller coverage over the next three days so be sure to tune back in! Andras Nemeth called on the button before Wai Leong Chan raised. Nemeth opted to move all in and was snap-called by Chan. Chan was in a dream scenario and all set to leave Nemeth of the clutches of elimination. The flop brought hope for Nemeth who picked up a wheel draw. His rail was screaming for a three to hit when the turn was shown to be the . But when the dealer flipped over the on the river, they exploded into jubilation as Nemeth hit the wheel and a shocked Chan realized that was it. 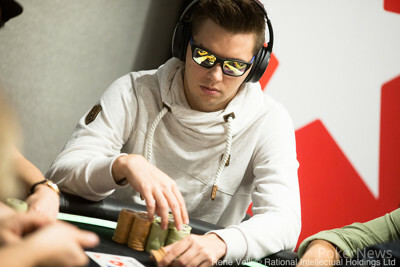 It was confirmed that Nemeth covered Chan, and the latter was eliminated in 2nd place for €420,800. Nemeth took the €25,000 Single-Day High Roller crown and the first-place prize worth €605,600. A full recap of the day's action will be posted later on with a rundown of the final table results. After three hands passed Wai Leong Chan got the better of Andras Nemeth and brought the chip stacks closer together. The board was down , and Andras Nemeth bet 1.1m. Wai Leong Chan went into the tank and thought for a minute before he opted to fold. Matthias Eibinger moved all in for around 1.3m from the button and was called by Wai Leong Chan in the small blind. Chan hit a pair of queens on the flop with Eibinger now heading to spike an ace or nine to survive. The turn card was no help to him, and the river queen of hearts gave Chan trips and a lock on the pot to eliminate former chip leader Eibinger in 3rd place for €278,280. It's a second bronze medal of the week for Eibinger after he took the third place spot in the €100,000 Super High Roller event for €759,680. The board was down , and Wai Leong Chan bet 360,000 from the small blind which Andras Nemeth called in the big bind. When the river card came down, Chan continued and bet for 975,000. Nemeth needed time to think and used a time bank card while contemplating his options. After a minute passed, he made the call and Chan instantly mucked and surrendered the pot to Nemeth who took the chip lead. Byron Kaverman raised to 300,000 from the cutoff and left himself with just 50,000 behind. Wai Leong Chan raised to 700,000 on the button and the blinds folded, before Kaverman called. Chan hit top pair on the flop, but the turn brought the fourth diamond to give Kaverman chop outs, but the river nine of clubs was no help to him, and Chan eliminated Kaverman in 4th place for €217,820.